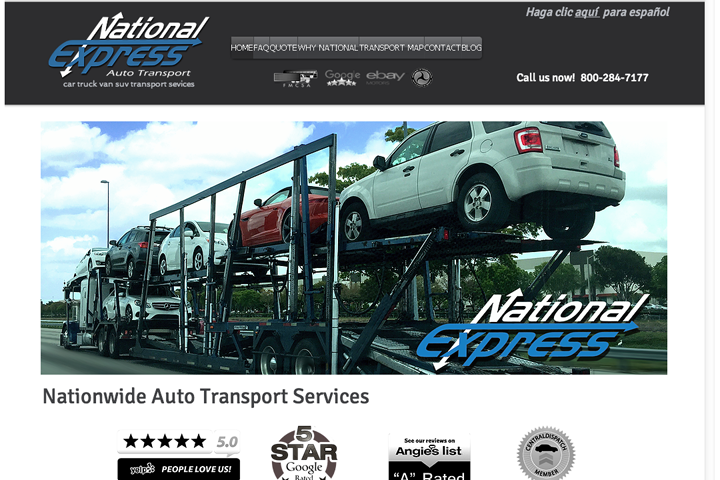 National Express Auto Transport is the industry leader in car, truck, and SUV transport. No Hidden Fees, No Upfront Cost, Door to Door. Licensed, Bonded, 100% Insured. Written authorization and price agreement. Price Guarantee. Previous PostAmerican Auto ShippingNext PostAce Connect Auto Shipping, Inc.